Real People. Real Stories. Real Grace. Here is an easy way to hear about why Grace Covenant matters. We created the videos after interviewing a few of our own church members and asking them what GCPC means to them. THIS is why grace matters. The many stories of why GCPC became our faith family are varied and inspirational. Start by watching these, but feel free to ask anyone you meet in our church why they joined or why they stay consider GCPC their spiritual home. Visitors delight us. Our goal is simple: make all people feel welcomed, not overwhelmed. We were all visitors once and remember how it feels to try a new place of worship. Attend as often as you want. Visitors are welcome at all GCPC events, classes and small groups as well as in worship. We will always be glad to see you! 10am Education Hour: Sunday School for ages 3 through adult. Welcome Table volunteers will tell you where to find classes for adults, youth and children. 11:05am Service: Chancel Choir leads this more traditional service. Holy Communion is celebrated the first Sunday of every month. Heartland Hall: Join us for coffee in between the two services or grab a cup of coffee on your way to Sunday School class. Heartland Hall is located next to the Sanctuary. There are always people to visit with or things to learn about if you want to just hang out. Real People. Real Stories. Real Grace. Here is an easy way to hear why Grace Covenant (or GCPC) matters. 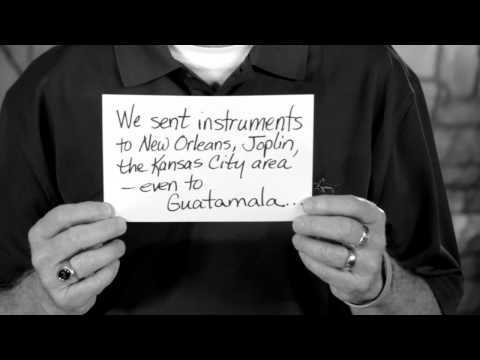 We created the videos after asking a few church members what GCPC means to them. Start by watching these, but feel free to ask anyone you meet in our church why they joined or why they consider GCPC their spiritual home. THIS is why grace matters. We CELEBRATE God’s all inclusive love. Everything we are and everything we do is a celebration of love we feel as God’s beloved children. That means balloons, confetti and champagne corks popping on Easter. It means a live donkey and sheep in the sanctuary on Palm Sunday and Christmas. It is Hershey kisses tossed at the confirmation youth and generous donations of money to feed children in Haiti and in Kansas City or to send our high school students to sing and to serve in places that need love and light. Celebration means taking a clear and joyful stand for inclusion of all God’s children—and gladly bearing the consequences of saying aloud so all can hear that all—ALL –are made in God’s own image. Celebration is sometimes quiet meditation or personal prayers said in great hope or in quiet desperation for a better world. We aren’t BETTER than other churches, but we sure are different. GCPC values creativity and community, justice and healing for all. We are a traditional church in an untraditional way. We welcome new ideas and we welcome you. Click around on the website and look at the picture gallery or visit us in person. Theologically there is plenty of room at GCPC. We come from a large number of faith and non-faith backgrounds. We don’t all agree on everything, but as a faith community, we think it is helpful to try to say what matters most. We are congregation within the Presbyterian Church (U.S.A) – a denomination rooted in the Reformed Faith. For more on Presbyterian beliefs, click here. This is our mission statement – an attempt to put down in one sentence what we try to do. Grace Covenant Presbyterian Church celebrates God’s all-inclusive love. In gratitude for that love, we act in ways to make God’s presence visible in our families, in the greater Kansas City community and in the world. We are not afraid to take ancient texts and explore how they apply to contemporary times, even though our curiosity may challenge traditions. Blessed with good minds, a caring community, prayer and a spirit of adventure, we follow the teachings of Jesus. Send people to serve Christ in the world. Click on the headings below to learn more about what we believe. The one whom we name as “God” is the source of all creation and the basis of our life together. God’s love is at the heart of our identity and purpose. We believe there is “one God and Creator of all” (Eph. 4:6a) and we also embrace the multitude of names and metaphors that scripture offers to reveal the higher power, the divine, the one God to our human understanding. Jesus the Christ serves as our primary model and guide for daily living. As revealed in the scriptures, Jesus values authenticity, grace and compassion, empowering people to embrace those same sacred qualities. We are a Christ-centered community, which also recognizes that God speaks through people of other faith traditions and through non-believers. The Holy Spirit is the person through whom we access God, our Creator, and Christ, our Liberator. The Living God reveals Godself in unique and poignant ways throughout history. The Holy Spirit engages creation in a variety of ways: sometimes encouraging, other times challenging, but always inviting an honest faith and genuine path. We believe the Holy Spirit is present in people of all cultures and religious traditions as exemplified in the story of Pentecost, the first mutual experience of the Holy Spirit recorded in scripture. Scripture is inspired by God and written down by people of faith. Scripture captures experiences of God’s people and teachings throughout history. Through prayer, study, reflection and interpretation of texts in the context of community, we believe God offers a profound and reliable way to develop and deepen our relationship with God and with one another. Worship is the central, shared experience where we praise God and are transformed and renewed to serve. Our original purpose statement says that in worship we “gather all people in a caring, Christian community; equip people to develop a faith that works in real life; and send people to serve Christ in the world.” We express our joy and love of God through worship that is scriptural, creative, thought-provoking and honest. Prayer is integral to our worship experience and to our personal, daily walk with God. Scripture offers several prayers that exemplify how faith deepens through prayer practice. Music is a vital method of prayer in our faith community. In addition to traditional, contemplative forms of prayer, we acknowledge the call in scripture to “pray unceasingly,” (1 Thess. 5:17) which encourages us to integrate prayer in all we say and do. We seek to care for the outcast and the oppressed, the sick and the marginalized, offering the love, mercy and compassion of Christ. “What is required of you, but to seek justice, love kindness, and walk humbly with God?” (Micah 6:8) We are called to work for justice in all types of systems: economic, political, racial, educational, medical, environmental and judicial. It is our divine calling to nurture others, especially children and youth so fresh from God. “Let the little children come to me, and do not stop them, for it is to such as these that the realm of heaven belongs.” (Matthew 19:14) We encourage people of all ages on their faith journey; provide a safe, loving place of rest for those who are weary; shine a light for those who wander in darkness; share tears and laughter; provide companionship and give great thanks to God for the gift of each other. To learn more about our beliefs, come and visit us next Sunday and meet Pastor Fred. Or contact our church office for more information: 913-345-1256. Our stained-glass windows and etched-glass doors were designed and created by local Kansas City artist Kathy Barnard. They surround the sanctuary with warmth and color, reflect our reverence for all the earth and celebrate our loving, joyful community of faith in Kansas. We believe our church is not the building, but rather the community of people who gather here. Still, we are grateful for this inspirational space to feed our souls.